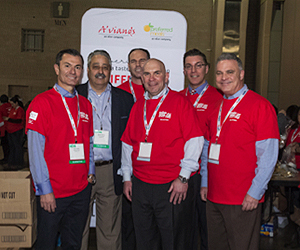 Pictured are members of Preferred Meals, an Elior company, who teamed up with Philabundance and educators from across the nation to pack food items for school children. 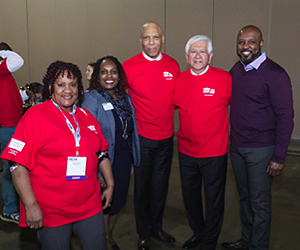 This effort kicked off the National School Boards Association Conference at the Pennsylvania Convention Center which ended on Monday, April 1. These food packages are delivered in back packs to students across Philadelphia to ensure they have nutritious meals over their weekend. Preferred Meals has served breakfast and lunch to Philadelphia school children for over 30 years. 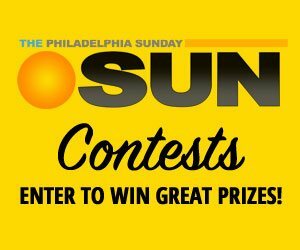 They also provide meals for the summer Parks and Rec programs and for the Archdiocese of Philadelphia. 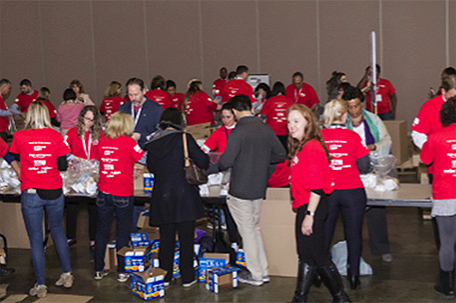 Among the speakers at this all – volunteer event was Dr. William R. Hite, superintendent of the School District of Philadelphia, who lauded Preferred Meals and volunteers for their continued efforts to help mitigate hunger in this city and across the nation.